Now that December is only a few weeks ago it is the ideal time to start thinking about ways to celebrate in the best way possible for christmas. 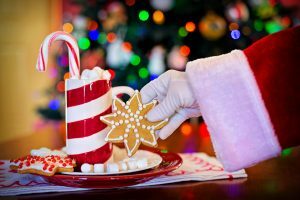 If you have kids especially it is the ideal time to start thinking about what you are going to do to bring that festive magic to the holiday season this year. Becoming Santa for the day for example can be great for younger kids and it can be a way to make christmas feel incredibly magical. And here are some of the ways you can make this happen and make your child’s day on Christmas eve. The first thing that every Santa needs is a sleigh, and if you plan to let the kids believe you are the big man himself, a sleigh is essential. You can start out by looking for Trailers for Sale or rent which you can then decorate with wood, tinsel and rope to make it look just like a sleigh from the north pole. It will be a fun weekend project for you and it can be a great way to bring the illusion to life. A santa suit is an essential part of the deal and you will want to make sure you either buy or rent one pretty soon to avoid not being able to find one at the store. Remember that you’ll also need to buy some shoes, a santa hat and a beard for yourself to make it as convincing as possible. For a large belly you can insert a pillow under your suit and let that make you look like a real Santa Claus! Gifts are the epitome of what Santa is all about and to make a convincing show for the kids you’ll want to make sure you get a big sack, some empty boxes and then some small and simple gifts such as a chocolate or small toys. These will be little things you can hand out to your kids the night before christmas to get them excited for the big day without spoiling their biggest presents too early. Lights, lights, lights… if you want to be just like Santa and make your sleigh look like something straight from the north pole you can add soe fairy lights to it and make it sparkle in the night sky. Rather than regular fairy lights you can buy a few sets of battery operated lights to save having cables everywhere. Now all that’s left for you to do is surprise your kids! You can do this easily by setting up outside in the garden while they are eating their dinner,, and then you can shake a bell outside and ask your partner to get the kids to come outside to ‘investigate’. It is the ideal way to finish off the countdown to Christmas and it is guaranteed to put everyone in a great mood!